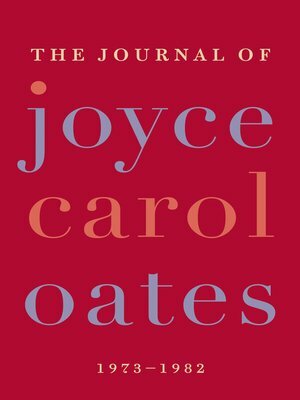 The Journal of Joyce Carol Oates, edited by Greg Johnson, offers a rare glimpse into the private thoughts of this extraordinary writer, focusing on excerpts written during one of the most productive decades of Oates's long career. Far more than just a daily account of a writer's writing life, these intimate, unrevised pages candidly explore her friendship with other writers, including John Updike, Donald Barthelme, Susan Sontag, Gail Godwin, and Philip Roth. It presents a fascinating portrait of the artist as a young woman, fully engaged with her world and her culture, on her way to becoming one of the most respected, honored, discussed, and controversial figures in American letters.